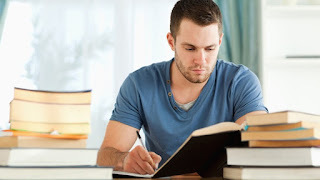 This Article outlines the logical steps to writing a good research paper. To achieve supreme excellence or perfection in anything you do, you need more than just the knowledge. Like the Olympic athlete aiming for the gold medal, you must have a positive attitude and the belief that you have the ability to achieve it. That is the real start to writing an A+ research paper. Focus on a limited aspect, e.g. narrow it down from "Religion" to "World Religion" to "Buddhism". Obtain teacher approval for your topic before embarking on a full-scale research. If you are uncertain as to what is expected of you in completing the assignment or project, re-read your assignment sheet carefully or ASK your teacher. For general or background information, check out useful URLs, general information online, almanacs or encyclopedias online such as Britannica. Use search engines and other search tools as a starting point. Pay attention to domain name extensions, e.g., .edu (educational institution), .gov (government), or .org (non-profit organization). These sites represent institutions and tend to be more reliable, but be watchful of possible political bias in some government sites. Be selective of .com (commercial) sites. Many .com sites are excellent; however, a large number of them contain advertisements for products and nothing else. Network Solutions provides a link where you can find out what some of the other extensions stand for. Be wary of the millions of personal home pages on the Net. The quality of these personal homepages vary greatly. Learning how to evaluate websites critically and to search effectively on the Internet can help you eliminate irrelevant sites and waste less of your time. The recent arrival of a variety of domain name extensions such as .biz (commercial businesses), .pro, .info (info on products / organizations), .name, .ws (WebSite), .cc (Cocos Island) or .sh (St. Helena) or .tv (Tuvalu) may create some confusion as you would not be able to tell whether a .cc or .sh or .tv site is in reality a .com, a .edu, a .gov, a .net, or a .org site. Many of the new extensions have no registration restrictions and are available to anyone who wishes to register a distinct domain name that has not already been taken. For instance, if Books.com is unavailable, you can register as Books.ws or Books.info via a service agent such as Register.com. on your computer free of charge and find one-click answers quickly. Do some critical thinking and write your thesis statement down in one sentence. Your thesis statement is like a declaration of your belief. The main portion of your essay will consist of arguments to support and defend this belief. All points must relate to the same major topic that you first mentioned in your capital Roman numeral. 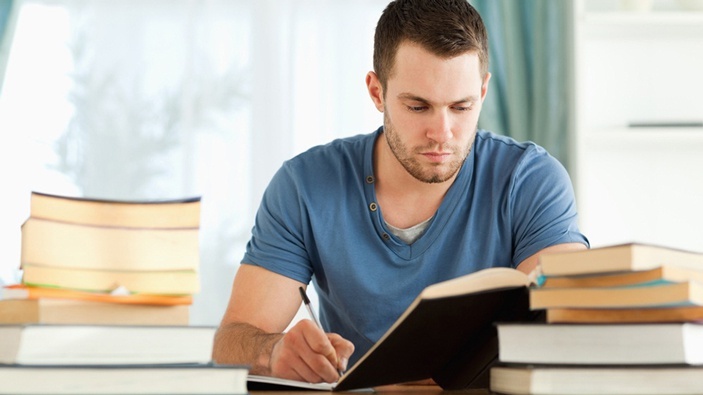 INTRODUCTION - State your thesis and the purpose of your research paper clearly. What is the chief reason you are writing the paper? State also how you plan to approach your topic. Is this a factual report, a book review, a comparison, or an analysis of a problem? Explain briefly the major points you plan to cover in your paper and why readers should be interested in your topic. BODY - This is where you present your arguments to support your thesis statement. Remember the Rule of 3, i.e. find 3 supporting arguments for each position you take. Begin with a strong argument, then use a stronger one, and end with the strongest argument for your final point. CONCLUSION - Restate or reword your thesis. Summarize your arguments. Explain why you have come to this particular conclusion. If it is helpful to you, use a symbol such as "#" to mark the spot where you would like to check back later to edit a paragraph. The unusual symbol will make it easy for you to find the exact location again. Delete the symbol once editing is completed. 10. Did I avoid using contractions? Use "cannot" instead of "can't", "do not" instead of "don't"? 11. Did I use third person as much as possible? Avoid using phrases such as "I think", "I guess", "I suppose"
Aim to have your final paper ready a day or two before the deadline. This gives you peace of mind and a chance to triple check. Before handing in your assignment for marking, ask yourself: "Is this the VERY BEST that I can do?"